Due to bad weather and storms here, it took us a few weeks to unpack and sort all the boxes. There were Sensorial, Maths, Language and Culture materials. 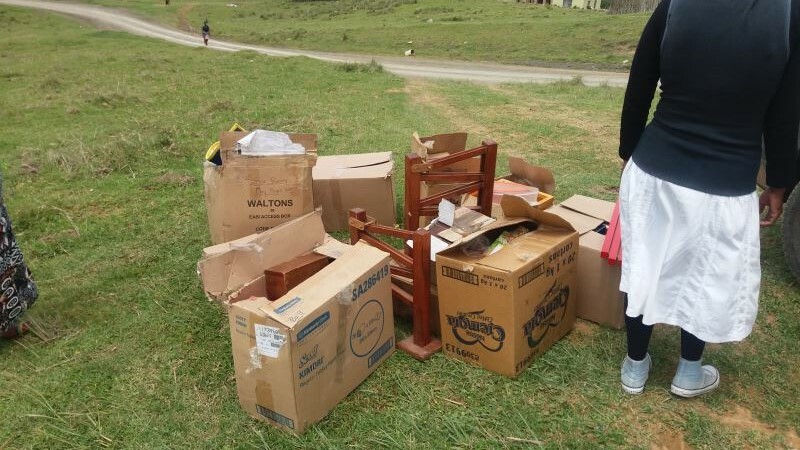 We kept all the Language, Maths and Culture materials and we gave the Sensorial materials to Mawotsheni Community Project, where Nomapuzi is the Directress. 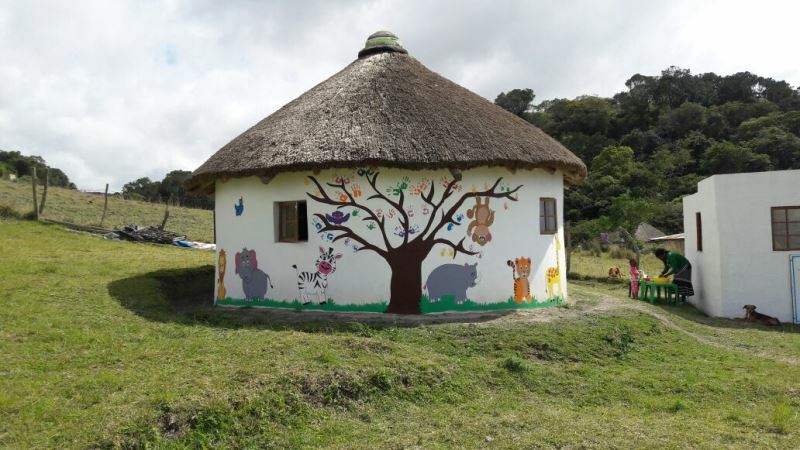 They will take what they need and they will give the rest to Ejojweni pre-school, where Cynthia is the Directress and Sidabadabeni pre-school. Thank you very much to Lesley Haywood and Buccleuch Montessori for touching so many young rural children's development - we really appreciate your kindness. 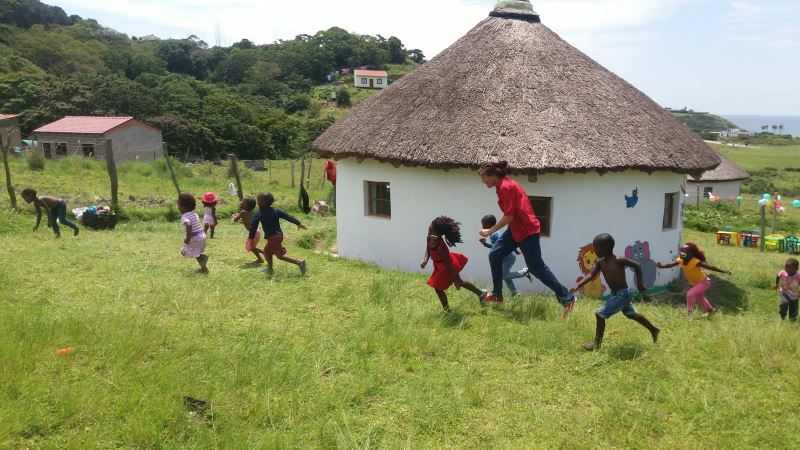 Explore and Discover Montessori in Tamboerskloof very kindly sponsored a Christmas Party for the Ncinci One's. We had our party yesterday and the children absolutely loved it! We played running games to start the day, which included 'Duck, Duck, Gooose', Tag and Wolf. 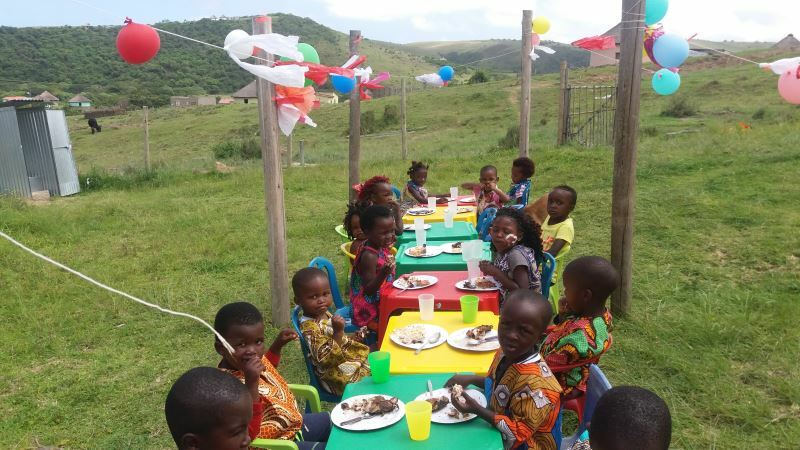 The children then indulged in cupcakes, crisps, sweets and fizzy drinks - this is so out of the ordinary for these children. 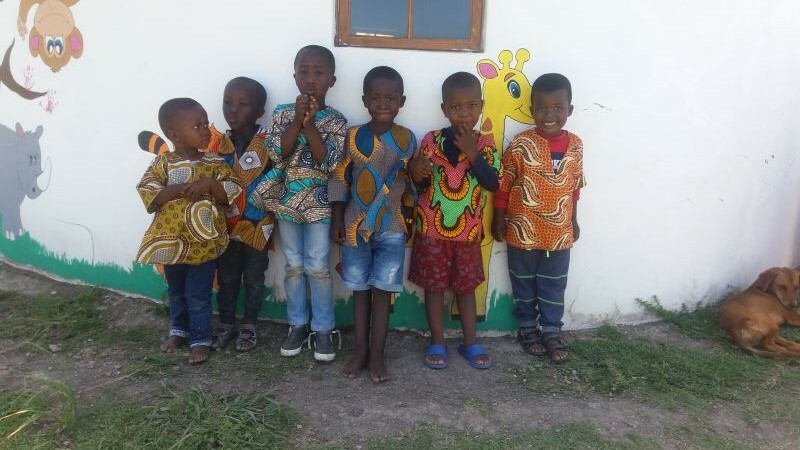 The biggest thanks must to the wonderful, amazing Irmgard Pringle, who made each girl a beautiful sundress and each boy a stunning Nelson Mandela style top! 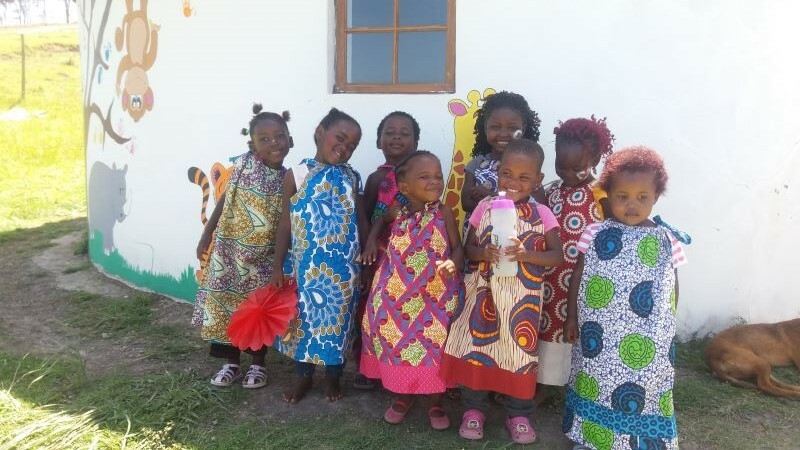 The children absolutely love their new clothes. The one little boy asked me if he could take his shirt home, and when I replied yes, he did the happiest little jig I have seen in a long time. The concept of a wrapped present was a first time experience for many of the children! Thank you Irmgard for creating this lovely experience. Lunch was a yummy chicken braai with coleslaw and beans. After some free play, it was Ice-Cream Time. What a great scene that was! 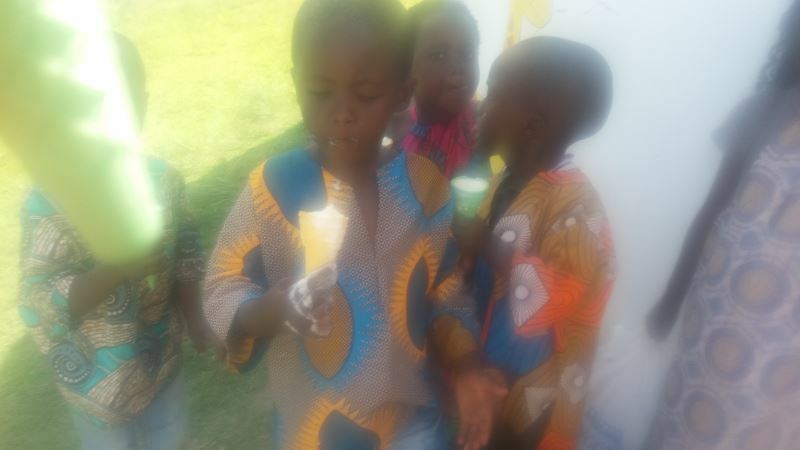 10 of the 14 children had never eaten ice-cream and they absolutely loved it!! All the children now know the name of the Geometric Solid, "cone"
Thank you very much to Explore and Discover Montessori for making this special day possible! We currently have 14 children attending Ncinci One's Montessori and there are 21 children on the Waiting List. We really need to build and equip another rondawel after the rainy season in early 2017, so that we can help more rural children get good quality early childhood development. Please walk this road with us and spare us a thought when you get your 13th cheque or bonus. We are trying hard and have launched fundraisers on Go Get Funding and Generosity. We would like to thank everyone who has supported Ncinci One's Montessori during 2016 - we could not have achieved what we did without you! Wishing you all very happy holidays and a Merry Christmas. Stay safe and see you in 2017!